Skin is the largest organ of the body. The average adult is covered by approximately 6 to 8 pounds and 15 to 22 square feet of it. Skin has many exquisite functions. It forms an anatomical barrier between the internal and external environments, playing a key role in protecting the body against pathogens and other detrimental substances such as harmful ultraviolet light and environmental chemicals. It has a pH in the range of 4.2 to 5.6, making it somewhat acidic, with men’s skin being more acidic than women’s. This acidity inhibits the growth of foreign bacteria and fungi. The skin provides a semi-impermeable barrier to excessive fluid, electrolyte and nutrient loss, stores water and fats, and helps to regulate fluid levels by controlling the rate of moisture evaporation. It contains a variety of nerve endings that react to heat and cold, touch, pressure, vibration, and tissue injury. The skin’s reaction to both external and internal temperature status helps to maintain the body’s temperature within the narrow boundaries conducive to life. It also guards the underlying muscles, bones, ligaments, and internal organs against injury while stretching to allow unrestricted movement. Vitamin D, which has profound effects on bone health, is synthesized and regulated by the skin. 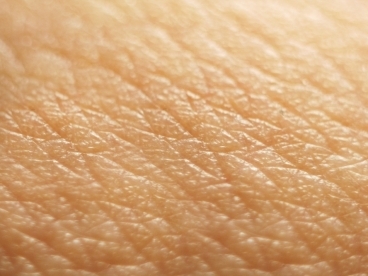 Loss of skin integrity can interrupt any or all of these life-sustaining functions. It’s important to understand these general functions of the skin, as well as more specific functions of each skin layer, in order to understand various types of wounds, how and why they occur, and how various interventions work to heal them.